Leading Manufacturer of eot crane, double girder crane, single girder overhead crane, gantry cranes, single beam eot crane and double girder overhead crane from Mumbai. Our company is engaged in offering a wide range of EOT Crane, which is fabricated using quality raw materials in conformation to the quality certification and is catering to diverse industrial applications. By capitalizing the skills of our experienced personnel, we are able to provide quality approved range of Double Girder Crane to our esteemed clients. This product is manufactured at our ultra-modern manufacturing unit using the premium quality components and advanced technology as per the prescribed quality standards. It is easy to use and provide efficient working to user as per the requirement. Moreover our Double Grinding Crane is available at market leading prices. 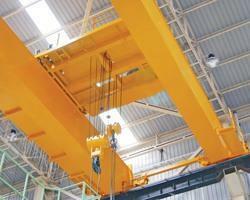 We are a highly reputed organization dealing with providing Single Girder Overhead Crane to our clients. It has excellent quality and is able to function to its peak level for a long time period. This product has the rigid construction and has the high load-bearing capability. Single Girder Overhead Crane is manufactured in accordance with industry standards and is considered to be flexible crane for different applications. 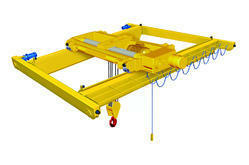 It is also considered to be an ideal solution for lifting heavy material in bulk quantities with ease. 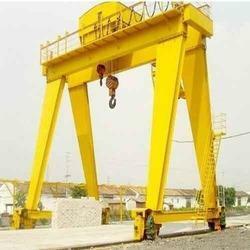 Our respected clients can avail from us, an excellent quality array of Gantry Cranes for heavy-duty work. The offered crane is specially designed in accordance with the set industry standards and can be easily moved from one place to another. Ideal for, warehouses, loading docks and construction sites, it is highly efficient for transporting, rotating and picking the load. 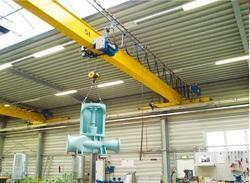 Moreover, the offered cranes can be availed at reasonable prices from us within promised time frame. Our company is engaged in offering a wide range of Single Beam EOT Crane, which is fabricated using quality raw materials. We offer a unique range of Double Girder Overhead Crane which is an ideal material handling equipment for various industries. 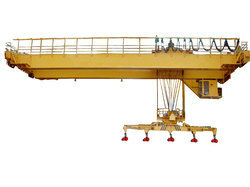 Goliath Crane is appreciated for their durability and optimum performance.